Debt is perhaps one of a dentist’s most lethal of financial weapons. Misuse it and there could be devastating consequences. Understanding its inner workings and appropriate applications, though, can make it an extremely valuable tool. The first step towards this understanding is the distinction between “good” and “bad” debt. Good debt allows you to acquire an appreciating asset such as a home, business or education. For most, their first experience with good debt comes in the form of student loans. These loans essentially buy you the skills to practice dentistry and, therefore, earn a very nice income. Conversely, bad debt buys you things that depreciate in value such as (most) cars and clothes. Most are familiar with the concept of a new car being worth less the minute you drive it off the lot. Interest is what the bank charges for actually lending you the money and is expressed as a percentage. Don’t make the mistake, however, of simply taking the interest rate and multiplying it by the principal to determine how much the loan will cost. If the rate is 7%, you won’t necessarily just pay $21,000 in interest. Interest rates can be fixed or variable. Fixed means, in this case, that the interest rate will never deviate from 7%. Variable means the rate could fluctuate based on some underlying index. A commonly used index is the London Interbank Offered Rate (LIBOR), which is what many banks use to charge each other for short term loans. Typically, the variable rate is calculated by adding some margin to this rate. For example, a variable rate might be expressed as LIBOR plus 3.5%. So if LIBOR is currently 3.5% and the margin is 3.5%, your interest rate is 7%. As LIBOR goes, so goes your rate. The term is the length of time in which the loan is expected to be paid off. Common terms for student loans are 10 and 25 years. Finally, amortization is simply the amount of each monthly payment that’s allocated toward interest and/or principal. For most loans, the majority of your payments in the early part of the term go towards interest. When you’ve been paying on a loan for a few years only to find the balance barely reduced, you can thank amortization. A loan that’s “fully amortized” over 10 years means that the 120 scheduled payments will retire both the principal and interest. This is the case in both the 10 and 25 year standard payment plan for student loans. A loan that’s “negatively amortized” is structured so that some payments are actually less than the interest being charged. This difference is applied to the overall balance so that the principal increases instead of decreases over time. Often, a negatively amortized loan requires a single payment known as a balloon payment, which retires the remaining balance at the end of the term. Income based repayment (IBR) plans are often negatively amortized. Currently, the borrower is not required to make a balloon payment at the end of the 25 year term for IBR. That balance, however, is considered taxable income in the year it was forgiven. Let’s put all of this together using our $300,000 student loan under two scenarios; both with a 7% interest rate and a 1% loan fee. Under the first scenario, we’ll use a 10 year fixed payment plan. This means the doctor will pay $3,518 each month. Over the course of 10 years, the cumulative payments total $422,212 with $122,212 paid just in interest costs. Since IBR is gaining in popularity, let’s use it as our second scenario. Here we’ll assume an average income of $150,000 over the 25 year “term.” In this example, the monthly payments start at approximately $1102 and increase over time to $2928. The cumulative payments total $451,429. However, since many of those payments weren’t enough to cover the interest costs each month, the difference was added to the balance. In this case, there’s a remaining balance of $265,970 at the end of the 25th year. Rather than pay that in one lump sum, the government “forgives” the loan, but the forgiven debt is considered taxable income in that year. This leads to an approximate income tax bill of $92,000. Judging from the two scenarios, IBR requires less of a monetary commitment each month, but between the cumulative amount paid and the tax impact of the forgiven balance, it ends up costing nearly $123,000 more! This is but one example of how good debt can be poorly managed. One final essential concept to understanding debt is how quickly (or not) to pay it down. 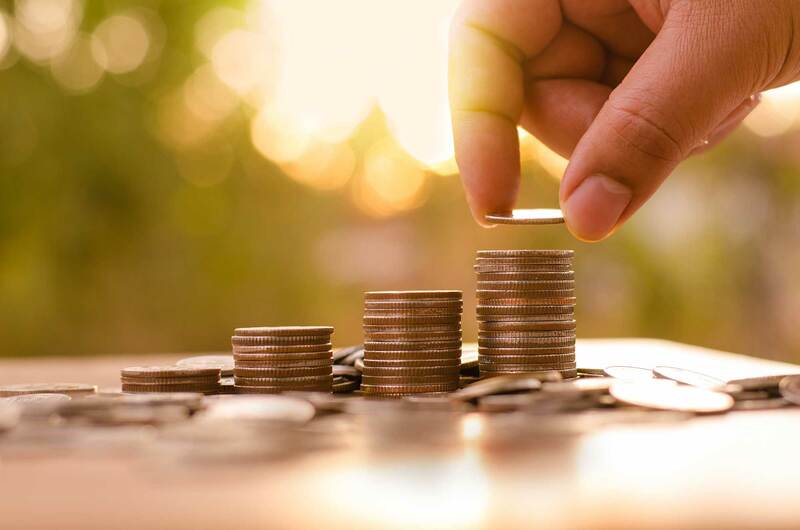 A general rule of thumb is this: if you can earn an investment return greater than the interest rate over the term of the loan, you should not accelerate payment. If not, then you should devote additional resources to retiring the debt as the interest expense saved will be of greater benefit than if those resources were otherwise invested. Albert Einstein famously once quipped that “compound interest is the eighth wonder of the world. He who understands it, earns it…and he who doesn’t, pays it.” For many, debt is unavoidable. When acquired and managed effectively, though, it can be an incredibly powerful tool to achieve your financial dreams.